Luigi Brusotti did not lack reasons to attract him towards difficult mathematics, which, in the wide circle of his relatives, he, although young, could feel the powerful influence emanating from the impressive figure of Felice Casorati. Felice Casorati was professor of mathematics at Pavia when Luigi Brusotti was born and continued until his death in 1890. At the 'Ugo Foscolo' high school in Pavia Brusotti was taught mathematics by Pilo Predella and Luigi Berzolari. The High School was named for Ugo Foscolo (1778-1827) a famous Italian writer and poet. It specialised in a classical education and indeed Brusotti proved an exceptional student of classical studies. However, he was strongly influenced by his mathematics teachers, particularly Berzolari who, in addition to teaching at the school, lectured at the University of Pavia. Seeing that his young pupil was talented in mathematics, Berzolari strongly encouraged him and introduced him to advanced topics. After graduating from the 'Ugo Foscolo' high school, Brusotti enrolled at the University of Pavia. In his final year he worked on a geometry dissertation advised by Ferdinando Aschieri (1844-1907). Aschieri had been born in Modena and graduated from the University of Pisa in 1867 having been a pupil of Eugenio Beltrami. He taught at the Liceo in Parma and the Technical Institute of Pavia, before being appointed to the University of Pavia in 1875. He was promoted to full professor on 1884. At Pavia he taught descriptive geometry, projective geometry and higher geometry. Brusotti's dissertation, supervised by Aschieri, was of high quality but it did not result in publications since the results had been independently discovered and published by others. In addition to attending courses delivered by Ferdinando Aschieri, Brusotti had attended courses by Luigi Berzolari and Ernesto Pascal. Brusotti graduated from the University of Pavia on 10 July 1899 with honours in pure mathematics. He spent the following academic year, 1999-1900 in Pisa where he attended courses, both at the University and at the Scuola Normale Superiore, delivered by Ulisse Dini, Eugenio Bertini and Luigi Bianchi. After his year at Pisa, Brusotti returned to Pavia where he was an assistant to Luigi Berzolari, Carlo Formenti (1841-1918) and Ferdinando Aschieri. Formenti, a member of the Istituto Lombardo, was professor of rational mechanics at the University of Pavia. During the years 1900-01 and 1901-02 Brusotti was a voluntary assistant involved in exercise classes in algebraic analysis and analytical geometry. 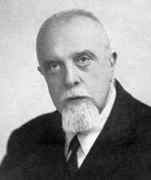 In 1902-03 he was supported by a scholarship and taught rational mechanics. He continued to work as an assistant in 1903-04 and 1904-05 teaching algebraic analysis and analytical geometry as well as drawing in projective geometry and descriptive geometry. It was during these years when he was working as an assistant that Brusotti began publishing the results of his research. His first papers were Sopra alcune relazioni fra covarianti di terzo e quarto grado nei coefficienti di una forma binaria Ⓣ (1902), Dimostrazione di un teorema di calcolo combinatorio Ⓣ (1903), and Sulla curva razionale normale dello spazio a quattro dimensioni Ⓣ (1904). For a list of 91 of Brusotti's publications see THIS LINK. ... in line with the scientific orientation of his teacher L Berzolari, concern the invariant theory of algebraic forms, especially binary forms, with their geometric applications, a field of study very much cultivated at the time and to which he brought considerable and comprehensive contributions. ... had a high-prestige teacher, a zealous and loving teacher, a very effective educator everywhere, but especially in Sondrio, at the "Berchet" in Milan and at the Technical Institute of Pavia, where he remained longer. He left a very grateful persistent memory. Nor did he miss out on official acknowledgments, since he enjoyed two career advancements for distinguished merit, won three special competitions, had inspection duties in middle schools, and was enrolled in the role of honour. His great talent as a scientist, as a teacher and as a man had noteworthy recognitions: he was director of the Mathematical Institute of Pavia from 1931 to 1953; president of the Italian Society of Physical and Mathematical Sciences "Mathesis" from 1954 to 1957; a corresponding member of the Istituto Lombardo di Scienze e Lettere from 1932 to 1940 when he became a full member; a corresponding member of the Accademia dei Lincei from 1954 and of the Società delle scienze di Liège from 1954; a member of the Italian Commission for the teaching of mathematics (1936-38); and awarded the Gold Medal for Merit in Education, Culture and Arts in 1958. At the University of Pavia he is remembered with a commemorative plaque at the Institute of Mathematics. From 1910 onwards, his scientific activity was predominantly directed towards the so-called "questions of reality" of algebraic geometry in the projective orientation. The algebraic entities were much studied at the time in the complex field, but, even though their consideration from the real point of view was not neglected, there were a lot of open questions with no easy solutions. In this area of work Brusotti has, in almost fifty years of activity, brought an impressive contribution of new results, consisting of a true body of theory, hinged on the so-called "method of small variation," which has brought him fame in Italy and abroad. His papers on this topic include Sulle curve piane algebriche reali prive di punti reali Ⓣ (1919), Sui centri critici di un fascio reale di curve algebriche Ⓣ (1921), Sulla curva completa intersezione di due superficie algebriche reali Ⓣ (1928), and Fasci reali di curve algebriche sopra una quadrica reale Ⓣ (1938-39). For a list with many more of these publications, see THIS LINK. Other writings are dedicated to questions of analysis, of projective differential geometry; others have a historical and critical character or didactic and methodological; still others are commemorations and reviews; finally three fine articles in the "Enciclopedia delle matematiche elementari" Ⓣ deserve a special mention. These are on "measure theory" (II, p. 119-174), "polygons and polyhedrons" (II, p. 255-322), "didactic questions" (III, p. 885-973), also noteworthy for both the quantity and the precision of their bibliographic information. Brusotti died in 1959 and, following his death, his sister Marina Gallo decided to donate Brusotti's personal library to the Institute of Mathematics of the University of Pavia. The Faculty was delighted to accept the gift, considering its remarkable value and the relevance of both the books and the archival material. The official acceptance took place in November 1959. The complete donation includes the entire private holdings of Brusotti: 4 bookcases containing about 600 books, of which about 130 are antique works, and some furnishings that allow the original arrangement of the private library to be maintained. The collection includes texts on mathematics and engineering, natural and agricultural sciences, literary classics, historical editions of the Bible, as well as numerous volumes of periodicals, mostly from the early decades of the twentieth century, and a substantial archive (not yet catalogued) which includes photographs, letters, portraits, etc., several handwritten notebooks of Brusotti when a student (which include very accurate notes of courses he followed) and notebooks containing the lectures he gave as a professor, as well as manuscripts of his father Ferdinando and other Italian mathematicians.